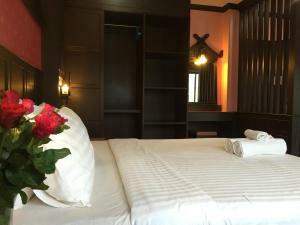 @Buasri by Ohm Residence - Patong, Phuket, Thailand - Great discounted rates! Address: 11/1 Soi Nanai2, Nanai Rd. 9.7 out of 10 based on 54 verified user reviews via Agoda. @Buasri by Ohm Residence - Phuket classifies itself as a 2 star hotel.